Be the first to share your favorite memory, photo or story of William J.. This memorial page is dedicated for family, friends and future generations to celebrate the life of their loved one. 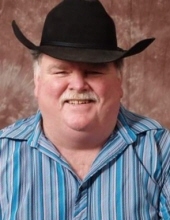 Ninilchik resident, William "Bill" Cress, 64, passed away unexpectedly, Monday, Jan. 21, 2019 at home. His ashes will be put to rest in Lander, WY in July,2019 and a celebration of life will be in the Spring, 2019 in Ninilchik, AK. Bill was born Sept. 21, 1954 in Denver, Colorado. He attended Lakewood Elementary and then high school at RE-1 school district in Platteville/Gilcrest, Colorado. He graduated high school from Fremont County High school in Lander Wyoming, class of 1973. Bill participated in ROTC and upon graduation he enlisted in the US Army. Bill was in the Army from 1973-1977. He was stationed in Germany, and he was a Vietnam Era Vet. He received many awards during his service, including: Infantry Badge, National Defense Service Medal, Marksman Pistol, Marksman Rifle and several letters of Commendation. Upon returning home Bill began his career in the mining industry. 31 of those years being in Alaska, where he moved to in 1989. He worked in Kotzebue with Red Dog Mine until he retired in 2006. While living in Alaska he has resided in Wasilla, Palmer and Ninilchik. He belonged to the American Legion where he enjoyed catching up with friends. He enjoyed traveling, hunting, fishing, trap shooting, making friends. He enjoyed visiting friends and family, gardening, canning and cooking amongst many other things. Bill never met a stranger, everyone was always a friend. He started each day with a new lease on life and he was always happy. Bill is survived by his wife Rita Cress and their children Chris, Jules and Bubba of Ninilchik, AK; sons, Travis Cress of Palmer, AK, Kevin and Kyle Cress of Riverton, Wyo. ; daughter, Shannon Cress-Wyers of Greeley, Colo.; his mother Shirley Richardson of Platteville, Colo.; brothers, Frank Cress of Platteville Colo., Bob Cress of Lingle, Wyo., Kerry Richardson of Gillette, Wyo., Tim Richardson of Mead, Colo.; a sister, Gayla Norgren of Platteville, Colo.; along with many aunts and uncles, cousins, and grandchildren. Memorial Donations may be sent to Rita Cress, P.O. Box 39683, Ninilchik, AK 99639. Arrangements were by Peninsula Memorial Chapel. "Email Address" would like to share the life celebration of William J. "Bill" Cress. Click on the "link" to go to share a favorite memory or leave a condolence message for the family.